Guests will visit four great ballparks over four nights on this “mini” version of the popular East Coast Tour. Between the games, there will be time to explore the sig, take ballpark tours, and enjoy first class accommodations in each city. Book now to hold your spot! 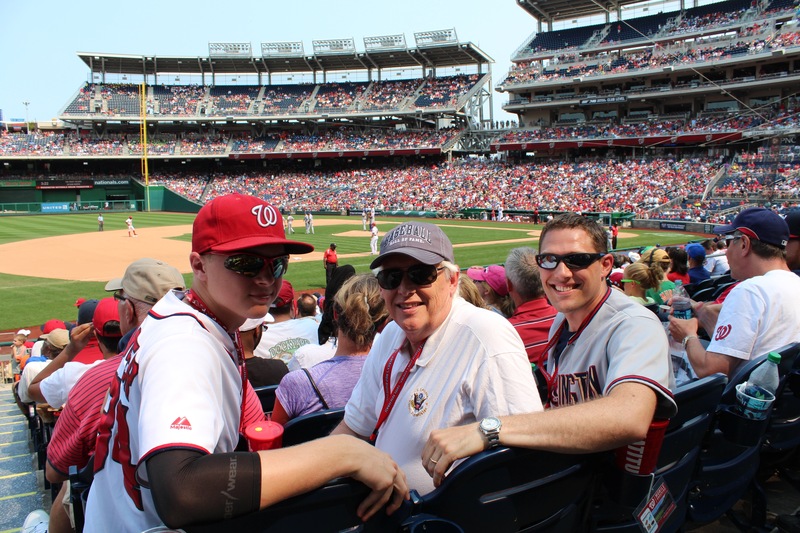 Three generations enjoying Nationals Park. "This truly was one of the biggest bucket list on my large list and was one of the best times I had. It was great being with others that baseball was one of their passions especially you. BLT really makes the journey carefree so that I could enjoy every ballpark and every city we visited. You and your company make this a first class operation and make the journey that much more enjoyable."